As many of the Walt Disney World fans know, there are many changes occuring at Disney Sprngs. Formerly known as the Downtown Disney area, this updated facility will be home to many fine dining experiences as well as great shopping locations. 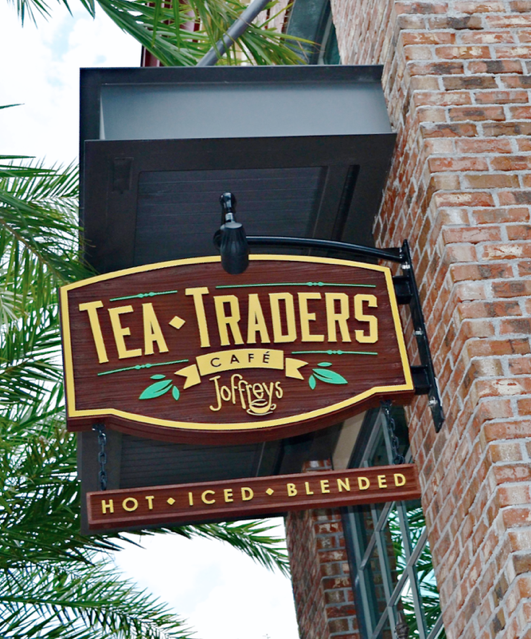 The Tea and Traders Café was recently opened becoming the newest addition of Jofferey’s Coffee and Tea Company location at Walt Disney World. This location is a very classy and truly unique tea shop. Enjoy the taste of fresh and delicious iced tea as you wander through Disney Springs and enjoy the sights and shops! Blaze Pizza is rumored to open in May 2016. This pizzaria is a create your own pizza restaurant that offers fresh artisanal pizzas at one great low price! Think of a Subway for pizzas. This restaurant will be a great place to take a break from your day to enjoy a fresh pizza! Our last bit of news this week comes from Disney’s Contemporary Resort. Disney is now offering a “Family Culinary Adventure” for guests aged 9 and over. With a group of 30, you will enjoy an hour long prep station followed by tasting the five course meal you have just been preparing. The price of this adventure is $175 plus tax and $125 plus tax for ages 9-12. Included in this price is a chef’s hat to take home along with a signed Disney cookbook. You can recieve more information or book this adventure by calling 407-WDW-PLAY.